Learn to make this very popular, historic X-Plus block. The repeating block creates both a vertical-horizontal grid (the “plus sign” or upright cross) and a diagonal corner-to-corner pattern (the “x”). This one-day workshop will cover fabric selection, cutting tips for both traditional rotary-cut block components AND Accuquilt die cutting, layout strategies and construction techniques. Learn to sew Jan’s original X-Plus variation called “Orange Peel X–Plus”. Confident Beginners and above are welcome! This quilt is “pre-cut” friendly! A 10” Orange Peel X-Plus block. Learn proper AccuQuilt die-cutting techniques to create the blocks. Time permitting, students may create as many blocks as they desire. 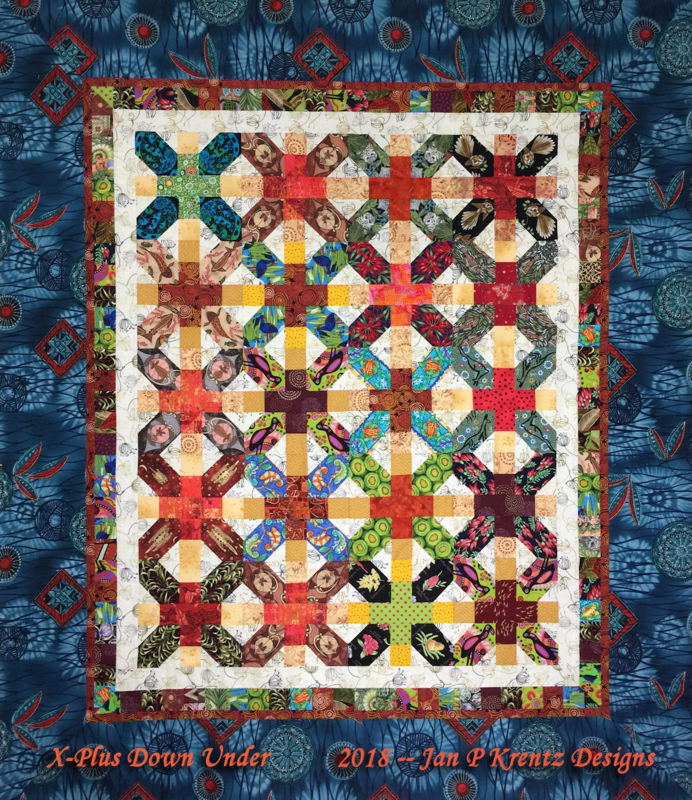 Class handouts will feature a variety of quilt design layouts in multiple sizes, and students are encouraged to create color schemes for their future quilt.